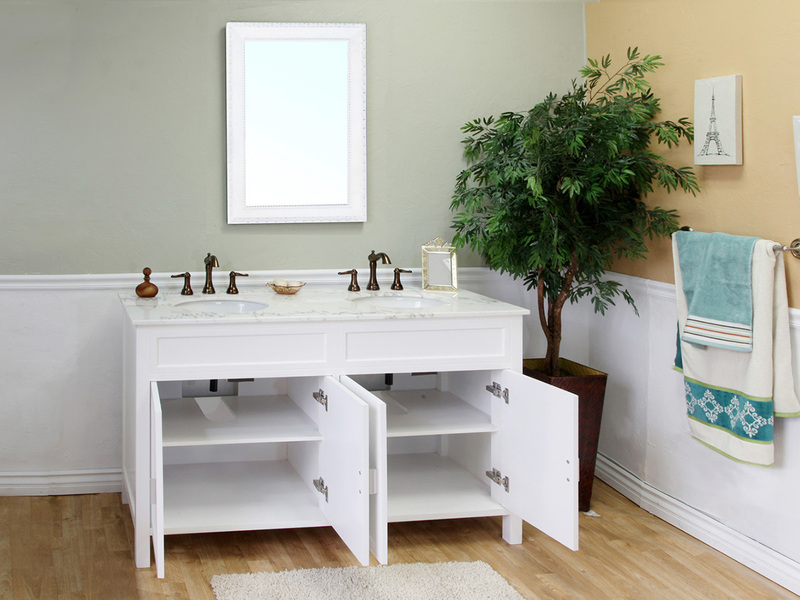 With its minimalist design, solid white finish and nickel hardware, the Maronea Double Vanity has a great modern look. 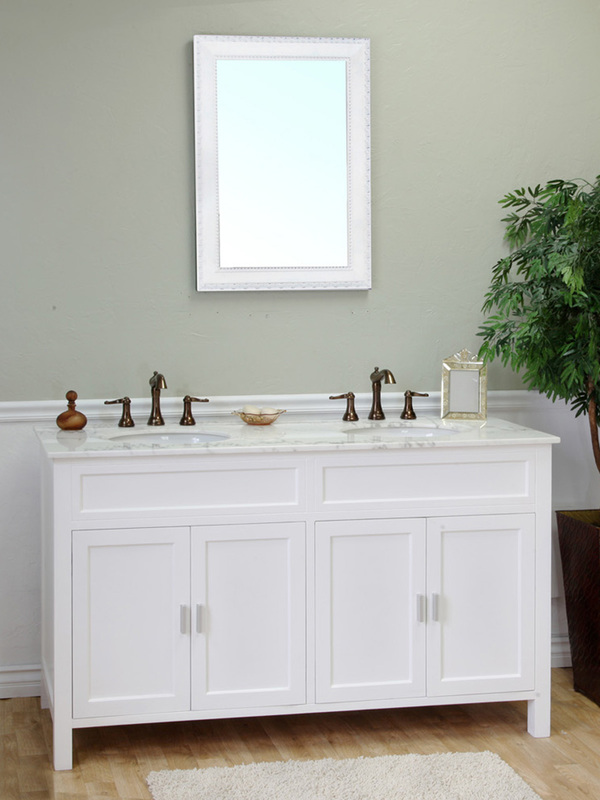 Its white marble counter top and white finish give the vanity a refreshing feel that is sure to brighten up almost any contemporary bathroom. 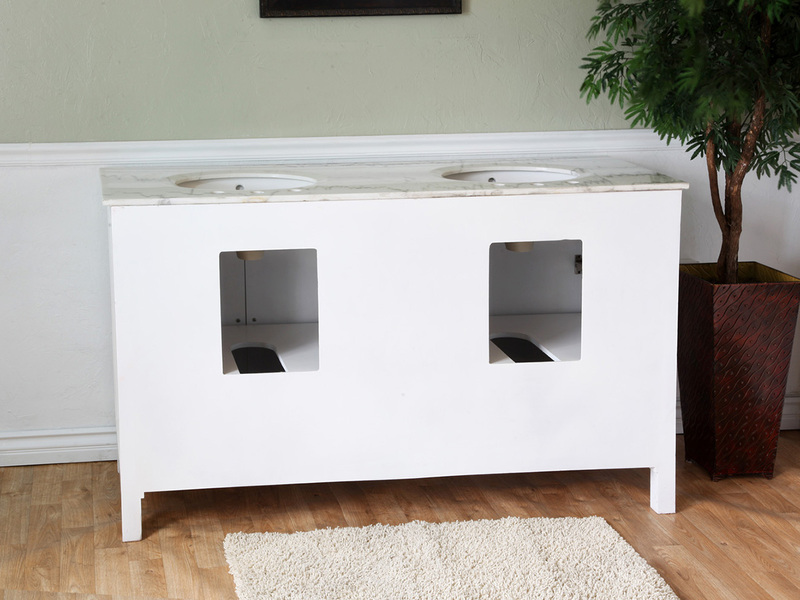 The finish is water proof, preserving the vanity's look by protecting the wooden cabinet from warping and damage caused by humidity. 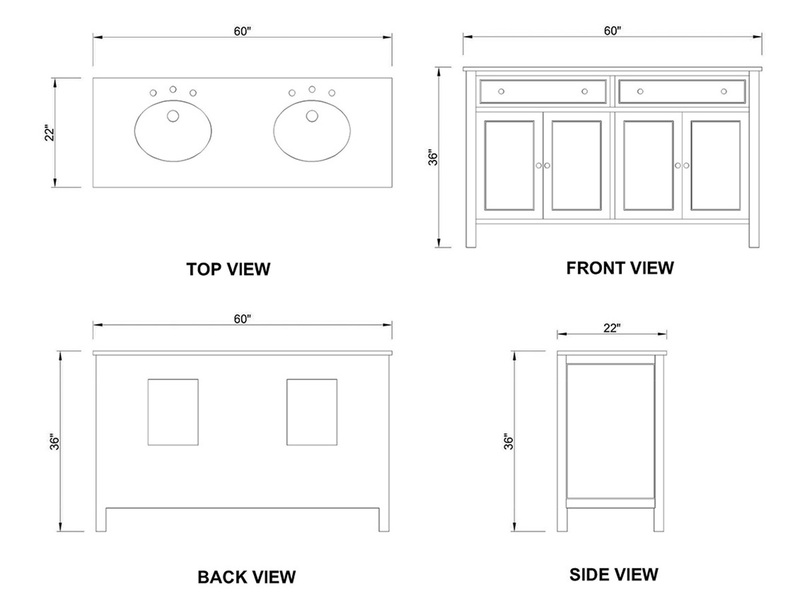 The two storage cabinets are divided by a shelf, giving you several options for storing and organizing your bathroom accessories and supplies. 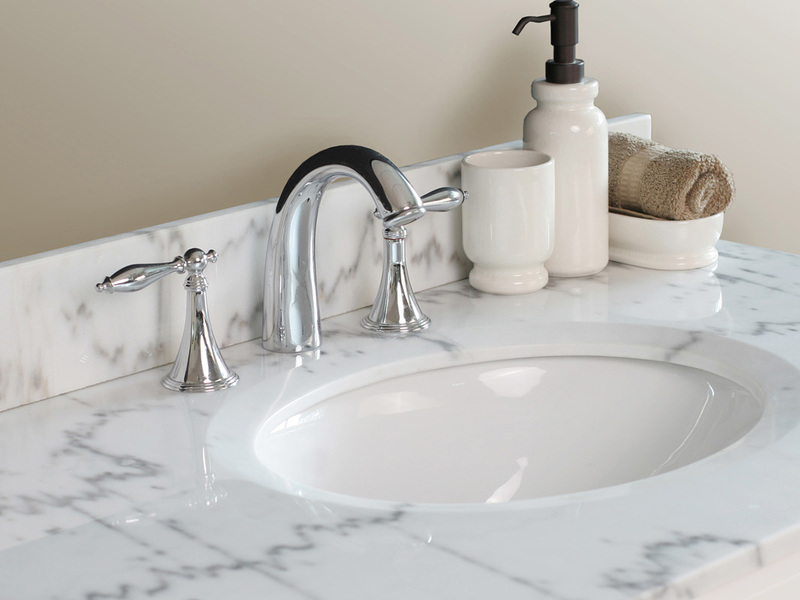 Also available with this vanity is a matching white marble backsplash.